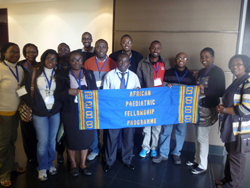 In a recent presentation in the 2016 annual conference of the American Thoracic Society (ATS), the strategic role of mentorship in the development of new research leaders in Africa was emphasized. 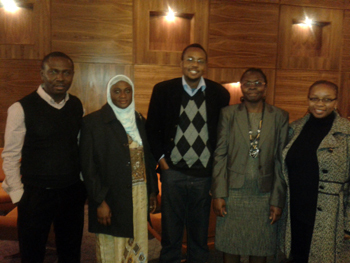 Dr Obaseki, a graduate of the ATS MECOR program and a physician in Nigeria in a talk titled ‘Capacity Building in Developing Countries: Challenges and Opportunities on the Ground’, highlighted the immense impact a dedicated mentor could have on the career path of a young investigator in a developing country. He used a number of case stories to describe how the processes involved in nurturing a mentee-mentor relationship could over time create a strong culture in respiratory research in Africa. 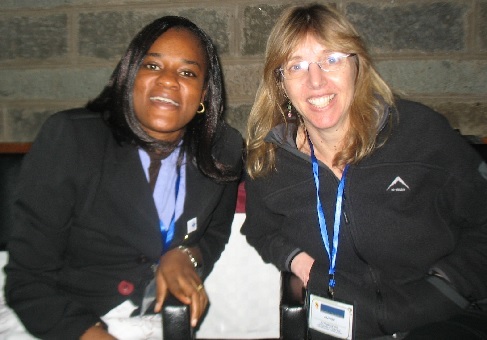 One of the case stories illustrated was the role Professor Heather Zar of University of Cape town, South Africa has played in crafting the career development of Dr Adaeze Ayuk, a consultant paediatric pulmonologist in the University of Nigeria. From a casual introduction by Professor Emerita Sonia A Buist, the director of MECOR in 2008, the relationship became a truly outstanding opportunity for Dr Ayuk to hone her clinical skills, meet new colleagues and acquire very useful research experience under the direct supervision of Professor Zar. She also received an unparalleled opportunity to undergo a paediatric pulmonary specialty training at the University of Cape town. Today, Dr Ayuk is back in Nigeria, leading the paediatric pulmonary unit in her institution and mentoring several young trainees. Dr. Obaseki cited other case stories including the impact Professor Sonia Buist has had on his own career development. In addition to the role of mentorship, he also called for more training in grantsmanship as another key ingredient for improving research in the African continent. Further details on that symposium titled “Global Health: The What, Where, and Why in the 21st Century “ can be found in the ATS website - www.thoracic.org. Dr Kirsty Donald has been invited as the “Department of Paediatrics and Child Health” invited speaker. Note that KPA will not hold their usual Annual Scientific Conference in April 2014, instead they will have the ICTP 2014 Congress. Attached please find the conference flyer. Please find attached an advertisement for a project for a potential MSc or PhD student. The group in the photo attended a day focusing on current and the latest developments in the management of people with epilepsy. It was a dynamic meeting with presentations were given by national experts and generated a lot of discussion from all the attendees. APFP is proud to congratulate Gbemisola Boyede. She has been awarded a start-up grant from the International Society for Infectious Diseases for her project, "Validation of a new developmental screening tool for neurodevelopmental delays among HIV-infected South African children." Congratulations to Cathy Abbo whose manuscript titled: Prevalence, comorbidity and predictors of anxiety disorders in children and adolescents in rural north-eastern Uganda has been published in author version format on the website of Child and Adolescent Psychiatry and Mental Health. We would also wish to congratulate her on a new publication where she is the first author. Title: Effect of brief training on reliability and applicability of Global Assessment of functioning scale by Psychiatric clinical officers in Uganda. Read more. Our ICU building at Kericho Hospital is now 95% complete. We have managed to purchase a central oxygen and vacuum machines and four electric beds. We are looking for more funds to purchase monitors, ventilators, blood gas machine, portable xray, and for furniture. If you can offer any assistance to Kericho District Hospital, please contact Dr Isaac Tsikhutsu directly at 254 722 749 789(Kenya) or on email at itsikhutsu@yahoo.com. Any help will be highly appreciated.